By Rebecca Nickols on September 14, 2012 Visit Rebecca's Website. This month’s “Cool Coop” is guaranteed to bring a smile to your day! 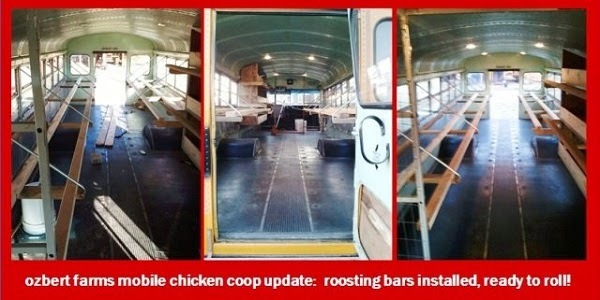 The on-going theme of this series of unique, creative and inspiring coops is–recycling, re-purposing, reusing… I think that everyone would agree that a reclaimed school bus chicken coop is about as cool as it gets! 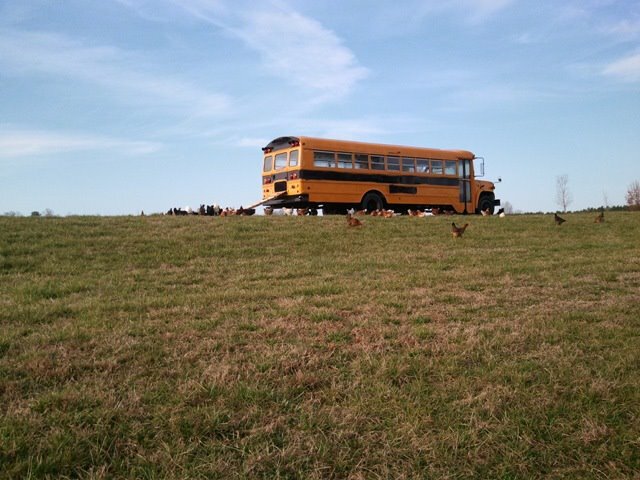 I love the idea of a bus that once transported children to and from school is now sheltering, housing and protecting a large flock of happy chickens! “The back window at the bottom of the emergency door in the rear was removed and replaced with a hinged hatch to protect the flock at night. 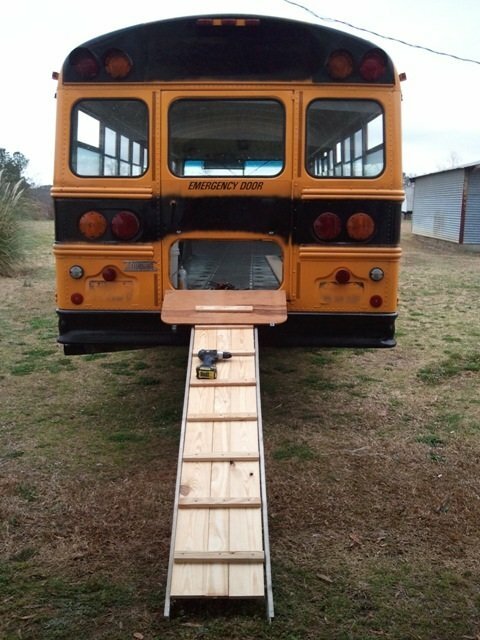 An old ladder was converted into a ramp leading up to the hatch for entry. Do you have a “Cool Coop” you’d like to share? Email me at rebeccasbirdgardens@gmail.com. 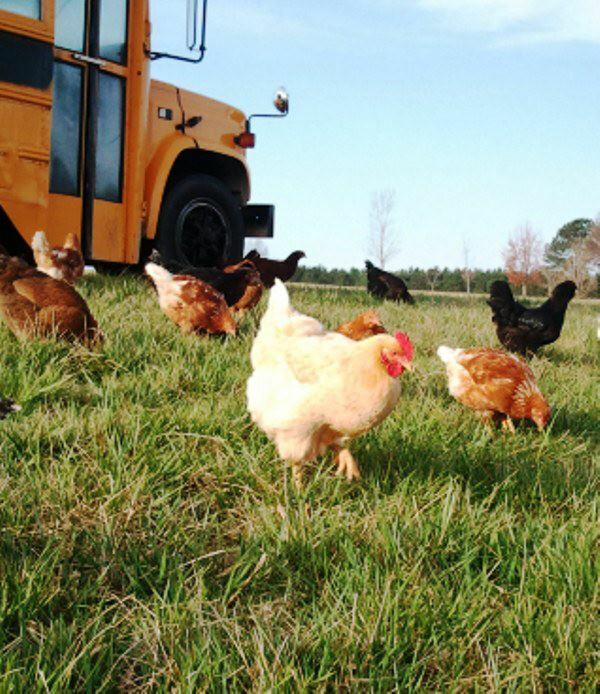 To see what else is happening on our Southwest Missouri property, visit …the garden-roof coop. 🙂 really Awesome project you made for hen..i like it very much.there are good chicken coops…i bought just like this one for my place..and i really enjoyed it.It is one of the useful product and a new trend. Don’t u think? 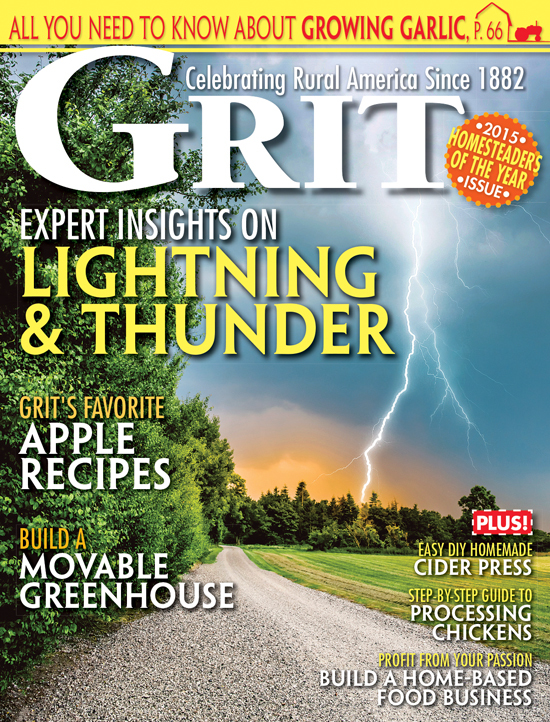 how do you deal with the heat in the summer? That makes me want to go out and buy a bus. 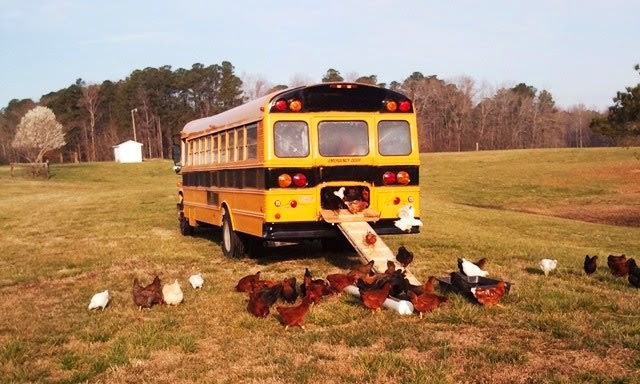 We don’t have that many chickens though…nor that much land. Really neat idea!! Love the video — totally awesome idea for a hen house!